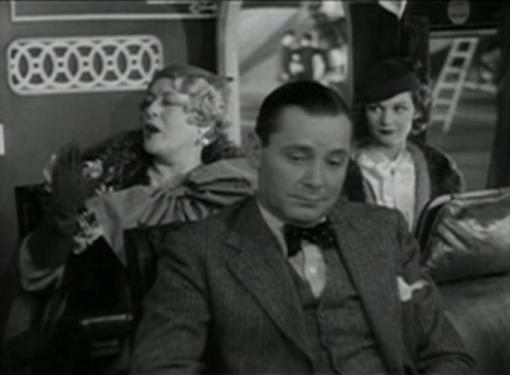 The Solitaire Man (1933) is an attempt to capitalize upon Herbert Marshall's recent success as debonair jewel thief Gaston Monescu in Ernst Lubitsch's Trouble in Paradise (1932). On a much lower budget and with very little sophistication beyond what our cast naturally brings to the party. The Solitaire Man is by no means a bad movie but it pales in comparison. So let's not compare any further. The Solitaire Man was based on an early play by husband and wife writing team Sam and Bella Spewack. Along with Cole Porter, who wrote the music, the Spewacks are best remembered for Kiss Me Kate, the Broadway hit premiering at the end of 1948 that lasted for over a thousand performances. 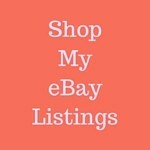 In 1953 it was a hit all over again for MGM as the classic movie musical starring Kathryn Grayson and Howard Keel. The Spewacks married in 1922 and spent most of that decade as foreign correspondents for New York newspapers. They made it to Broadway with The War Song, a 1928 flop. They wouldn't have their first hit under the bright lights until 1935's Boy Meets Girl. 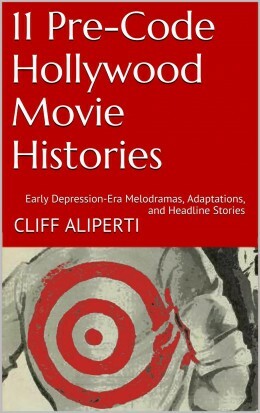 In between The Solitaire Man, which had opened in Boston in 1927 and never even made it to Broadway, was adapted in Hollywood by MGM. 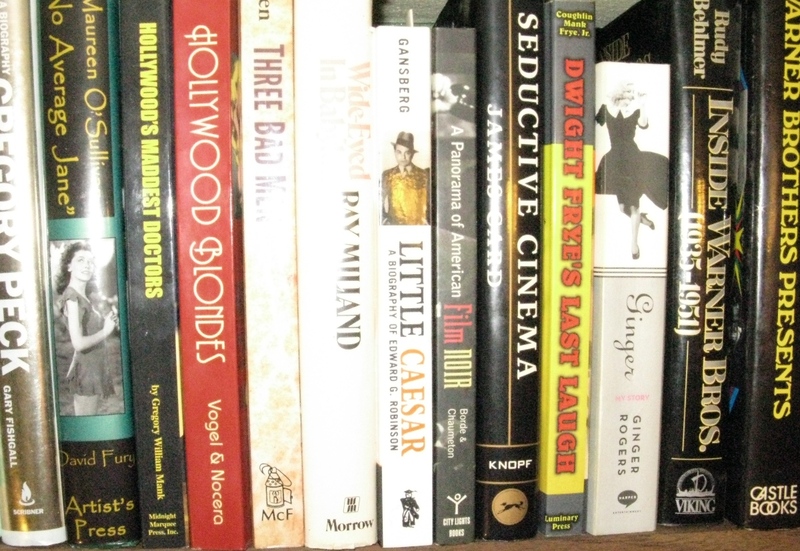 The Spewacks were working in Hollywood as writers during this same period. Directed by Jack Conway, The Solitaire Man resembles any typical murder mystery of the period for the first third or so of the movie. It distinguishes itself by moving on board an aeroplane and remaining there for approximately half of the 67 minute film. 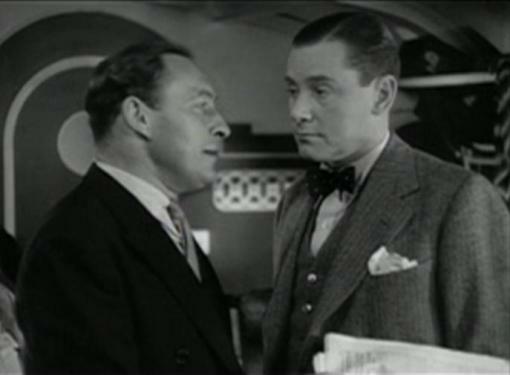 Herbert Marshall stands in the middle pointing a gun at Lionel Atwill at his left. Behind Atwill are May Robson and Ralph Forbes. At Marshall's right is Mary Boland with Elizabeth Allan behind her. It is on board the plane, with a cast of just six characters, that it reveals itself as a theatrical adaptation. The single set is pretty in MGM's art deco way though otherwise unimpressive. But it is the setting of The Solitaire Man's most interesting scenes built entirely upon dialogue delivered by Solitaire's fine cast. Marshall is no Gaston but his Oliver Lane is certainly the suavest member of our cast. 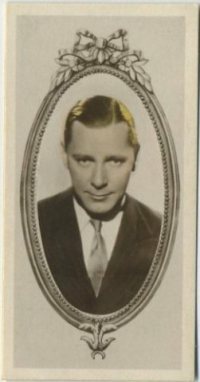 Besides being the brains behind a small band of criminals of interesting and unexpected origins, he is chief love interest of a very beautiful Helen Hemming (Elizabeth Allan) and murder suspect for Lionel Atwill's Inspector Wallace. 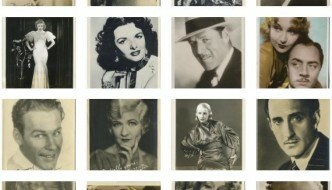 Marshall and Atwill highlight the small cast of The Solitaire Man. 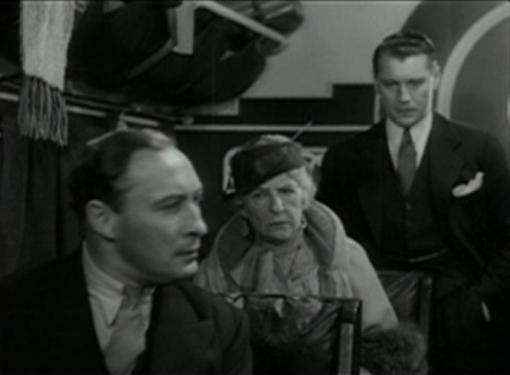 As soon as Atwill boards the plane we can be pretty sure that his Inspector Wallace is there for no good. Why? Because he's Lionel Atwill. When the lights go out, as they do, I'd be left either checking for my wallet or my pulse. If there is no evil intent behind his appearance then he is a heck of a red herring because how could you expect anything but bad out of him? 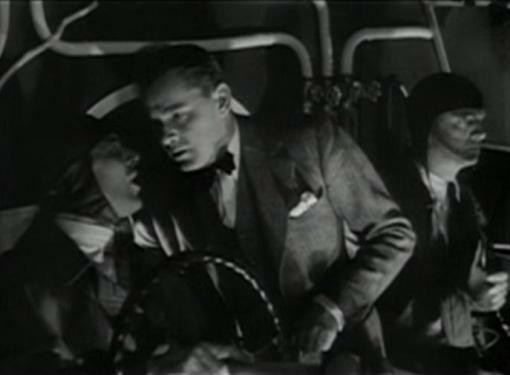 Within moments of take-off he and Marshall are nose to nose with Atwill declaring "I know you're the Solitaire Man." While Marshall's Oliver won't fess up to being the Solitaire Man, even to his closest cohorts, there can be no doubt that he was involved in the theft of the Brewster necklace that Wallace is after. The crime led directly to the murder of Inspector Kenyon of Scotland Yard. 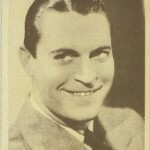 The necklace was actually stolen by Bob Bascomb (Ralph Forbes), a jealous member of Oliver's group hoping to prove his worth to Allan's Helen, whom he loves. 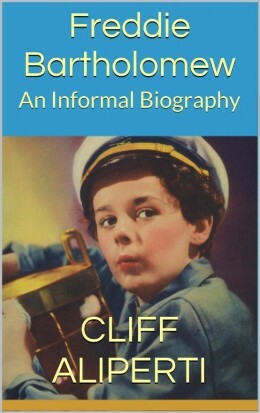 Oliver, fresh off purchase of a home in Devonshire and a marriage proposal accepted by Helen, had announced that he had quit the business. But Bob's indiscretion leads to Oliver's trying to replace the necklace in the Brewster vault before it is discovered to be missing. Oliver was in the midst of cracking the safe when doomed Inspector Kenyon arrived at the Brewster residence. 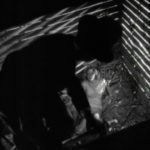 But there is no doubt about Oliver's being safely concealed behind a curtain when another shadowy figure fires the shots that kill Kenyon. Now rather than a casual flight back to a new home and new life, Oliver, Helen and the rest must make an escape. After Oliver makes Helen aware that he's still carrying the necklace she balks at marrying him. "I thought we were going to be two new people," she tells him. Oliver brings her back around by agreeing to mail the stolen goods back to France upon their arrival in England. It was in researching Elizabeth Allan's biography that I first became aware of The Solitaire Man. 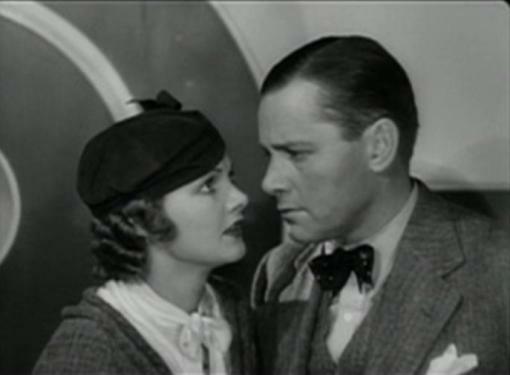 Her best scenes are earlier in the film, before the plane is boarded, but throughout she actually comes of as more polished than she does in either of her two following films: Ace of Aces (1933) and The Mystery of Mr. X (1934). Perhaps this is because of her being comfortable with leading man Marshall, who starred with wife Edna Best in Allan's first hit play, Michael and Mary, back in London and subsequently introduced Allan to her future agent and husband, Bill O'Bryen. Allan would rejoin Marshall in Gainsborough Pictures 1931 adaptation of that A.A. Milne play. 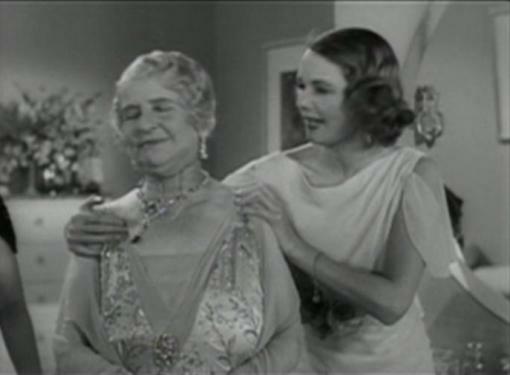 The Solitaire Man was released just nine days after audiences first saw May Robson as Apple Annie in Frank Capra's classic Lady for a Day (1933). That part later earned Robson an Oscar nomination and catapulted the 75-year-old actress to unexpected new levels of stardom. Her baccarat loving Mrs. Vail of The Solitaire Man seems to have taken underworld lessons from Annie's benefactor, Dave the Dude. Snippy and, it should go without saying, experienced, Robson's Mrs. Vail plays the little old lady dowager part in Oliver's cons. She's readily accepted by unsuspecting Americans allowing her to act as fence for any jewels Oliver has stolen. Ralph Forbes is a veteran of the Great War who has returned an addict. Presumably morphine. His temper seems just a bit psychotic until we learn these facts, which we do by a few slight references that become more obvious as the story progresses. Finally, Marshall, in explaining each of his friends to Atwill, tells us that Forbes' Bob Bascom was just a kid when he joined the fighting. Shell shock led to what Atwill's Inspector refers to as Bob's "fancy little habit." In fact, Oliver Lane's entire gang came together as a result of a bombing at the Vimy Ridge during the war. He was wounded and his two best pals died. One of those pals had a mother; the other a daughter. They were left destitute. Mrs. Vail offers that it was either joining Oliver, "or living with relatives for me." Inspector Wallace asks Oliver about himself. "Nothing sentimental about me," he responds. "I just couldn't get a job." Finally there is one additional passenger, Mary Boland as loudmouth American Mrs. Zelma Hopkins. She is so outgoing that you are left feeling her personality must be some kind of cover. Does she really know Oliver and his gang or is she perhaps somehow tied in with Inspector Wallace and only riding him in order to draw attention away from that fact? I half expected her to pull out identification, adopt a British accent and declare herself Scotland Yard before the movie ended, but no such luck. 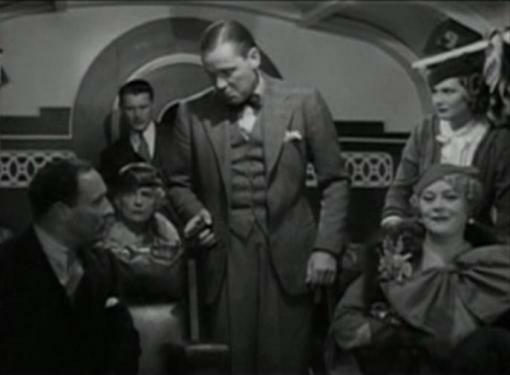 These six are the only passengers on board a commercial flight throughout the second half of The Solitaire Man. And boy, was air travel relaxed and leisurely in those days! At one point, sensing that Wallace has him caught, Oliver knocks on the cabin door, joins the pilot and co-pilot and demands they land the plane. That's a no go, but the request does not appear as ridiculous as it sounds today. Marshall requests that the pilots, "Land!" Attention is called to the parachutes hanging in plain sight and with the casual way the flight is conducted you feel safer knowing they're there! The door is opened a couple of times. I don't mean the pilot's cabin door this time, but the door leading to a plunge of a couple thousand of feet. When another plane cruises alongside our flight, Oliver simply dims the lights to lose the suspected French police tail. Can't see them, can't follow them! 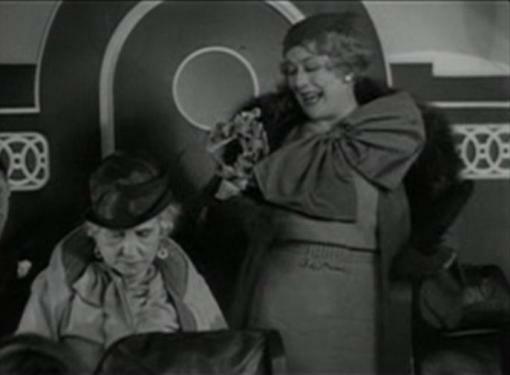 My goodness, was this air travel in the early 1930's? Despite images of the Hindenburg called upon just by typing the words, the idea of a zeppelin seems a lot safer! Our predecessors should be congratulated for their valor, it's a wonder that this method of travel, or any of the passengers, survived! Oh, by the way. Six got on, but only five got off. The set-up on the ground was okay. But the mystery is pretty obvious. And the eventual resolution is a little bit clumsy. In between the plane ride is mostly fantastic. Don't turn on The Solitaire Man expecting Trouble in Paradise. Don't even expect to be too puzzled by the mystery. Do expect to be well entertained by the talents of Marshall, Atwill, Boland and, to a lesser degree, Robson and Allan. Dialogue on the plane is excellent. The twists and turns don't twist or turn quite enough but there's enough going on in The Solitaire Man to make you think ahead a little and enough revealed to make you think back some to those veterans for whom the twenties never quite roared. Directed by Jack Conway for MGM The Solitaire Man has more of the stripped down feel of a Warner's movie of the era. The only thing polished about it are the beautiful English accents of the cast. I caught The Solitaire Man during Turner Classic Movies recent birthday tribute schedule for Jack Conway. Unfortunately it is not scheduled to air again at this time nor has it ever had a home video release. Hopefully both counts are corrected going forward because it is deserving of both. I really like your writing style. Plus, the Spewacks sound like intriguing people – am off to google & learn more about them. Thanks so much @SilverScreenings I appreciate the compliment. There wasn’t a ton of info out there on the Spewacks, but they definitely sound interesting. If I had time to pursue info on any nugget I saw about them it’d be a brief note I read claiming that Bella had first broken the story about Anna Anderson, the most famous Anastasia imposter. I only spotted that once so I don’t know how valid it is to credit Bella with that one, but it sure is interesting!